South Africa rand Archives - Africa M.E. 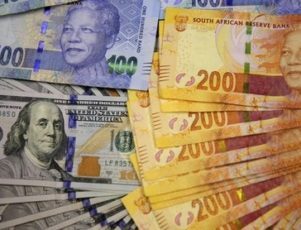 JOHANNESBURG (Reuters) – South Africa’s rand slipped to its lowest in two weeks on Thursday, succumbing to month end demand for dollars by local firms as the increasing chances of higher interest rates in the United States lured bulls back into long-dollar positions. At 0640 GMT the rand was 0.4 percent weaker at 11.8350 per dollar, its softest level since February 14, compared to an overnight close of 11.7875. 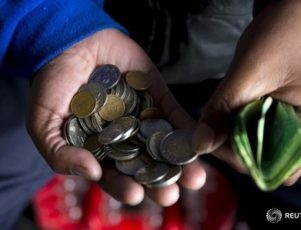 It was the first time in more than two weeks the rand closed above technical support around 11.80, after weakening for three consecutive sessions, prompting some technical selling as well as portfolio rebalancing by corporates offloading excess rands. Analysts said the “Ramaphosa effect”, named for the rise in investor confidence and rally in local assets after new president Cyril Ramaphosa took over as chief of the ruling African National Congress (ANC) in December, was now giving way to global headwinds. “With the cabinet reshuffle out of the way, our local assets will continue to reprice in line with the global macro environment,” said fixed income trader at Rand Merchant Bank Gordon Kerr in a note. The dollar index remained near 5-week highs early on Thursday, still drawing support after the Federal Reserve’s new chief Jerome Powell struck an optimistic tone on the U.S. economy, raising bets of at least four rate hikes by the bank in 2018. Stocks opened softer with the benchmark Top-40 index down 0.13 percent. Bonds were also softer, with the yield on the benchmark paper due in 2026 up 4 basis points to 8.165 percent. 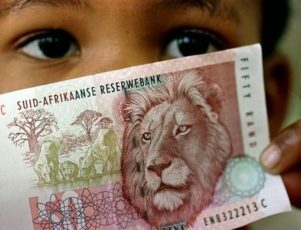 JOHANNESBURG (Reuters) – South Africa’s rand edged firmer on Wednesday, clinging on to recent gains despite continued fallout triggered by a Moody’s ratings downgrade last week and an anticipated interest rate hike by the U.S. Federal Reserve. At 0640 GMT, the rand traded 0.2 percent firmer at 12.7350 per dollar compared to close of 12.7600 overnight in New York, bringing weekly gains to around 1.3 percent. Following a one notch downgrade to its lowest sovereign investment grade on Friday, Moody’s cut the ratings of a dozen banks and companies including embattled power utility Eskom, further shaking confidence in Africa’s most advanced economy. Quarterly business confidence and April retail sales due in the session are expected to shed more light on ailing economy. Growth shrunk 0.7 percent in Q1 2017 after a 0.3 percent contraction in Q4 of 2016. Traders expect the U.S. central bank to increase interest rates by a notch when it concludes a policy meeting on Thursday, a move that could dampen demand for high-yielding emerging market assets. South African bonds were flat, with the yield on benchmark 2026 government bond inching up 0.5 basis points to at 8.445 percent. Stocks set to open higher at 0700 GMT, with the JSE securities exchange’s Top-40 futures index up 0.3 percent. JOHANNESBURG (Reuters) – South Africa’s rand gained nearly two percent early on Monday as emerging markets set aside concerns about a failed coup in Turkey over the weekend and investor focus shifting back to the timing of rate hike in the United States. * Rand at 14.2900 at 0645 GMT, 1.85 percent firmer than New York close. The rand trended firmer for most of the previous week as investors globally favoured high yield assets. * Risk appetite could drop later in week after strong economic data from United States suggest higher interest rates soon. * Stocks due to open flat at 0700 GMT, futures index up 0.11 percent. * Government bonds softer, yields up 4 basis points to 8.77 percent. 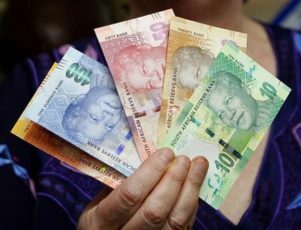 JOHANNESBURG (Reuters) – South Africa’s rand retreated from 10-week highs against the dollar on Wednesday, as nagging worries about domestic growth offset the boost from a generally risk-on global environment. Stocks were set to open a touch firmer, with the Top-40 futures index of the JSE securities exchange edging up 0.3 percent. The rand traded at 14.4225 to the greenback by 0859 GMT, down 0.57 percent from Tuesday’s close at 14.3410. The currency had climbed to 14.2755 on Tuesday, its strongest since May 3, partly buoyed by a surprise jump in local manufacturing output. The outlook for the economy, however, still remains downbeat, raising the risk of credit rating cuts before the end of the year. The IMF has cut its growth forecast for 2016 to 0.1 percent from the 0.6 percent predicted in May. South African government bonds also dipped on Wednesday, and the yield for debt due in 2026 added 1.5 basis points to 8.675 percent. 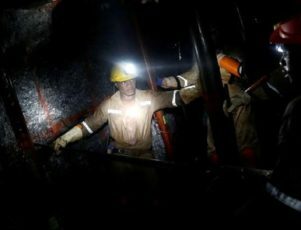 JOHANNESBURG (Reuters) – South Africa’s Sibanye Gold has began talks with unions for job cuts at its Cooke 4 mine after failing to stem heavy losses at the operation. The company first broached the subject of job cuts at the mine with unions in November 2014. Since then Cooke 4 has continued to fall short of production targets and accumulate losses forcing the producer to re-open talks, the company said. 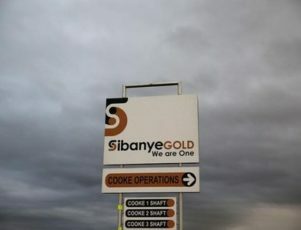 The chief executive of Sibanye’s Gold operations, Wayne Robinson, said in a statement the losses at the mine threatened the viability of the other three Cooke operations. “It is unfortunate that despite the joint efforts of stakeholders, the Cooke 4 operations have been unable to meet required production and cost targets and has continued to operate at a loss,” said Robinson. The Cooke operations, including four mines and three processing plants, had an operating loss of 4 million rand ($274,000) in 2015, the company said. Job cuts are a thorny issue in Africa’s most industrialised country where the unemployment rate is near 27 percent, a big concern for companies faced with labour disputes. Unions were unavailable to comment but have opposed job cuts elsewhere. Sibanye spokesman James Wellsted said the previous round of negotiations in November had led to some job cuts and a new plan to revamp the mine but the operation continued losing money. He said the mine was unlikely to run with fewer people if it was unable to pay for itself. “I don’t want to preempt the consultation process and obviously we are looking for solutions but we have not been able to improve the situation,” Wellsted said when asked whether the mine would be shut. Sibanye employs 1,700 workers at Cooke 4 and about 7,000 workers at all its four Cooke operations, he said. 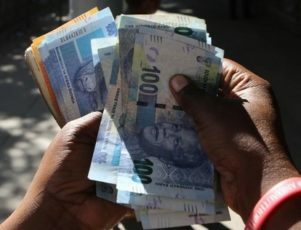 JOHANNESBURG (Reuters) – South Africa’s rand held its ground early on Monday and was seen getting a boost from improved risk appetite as investors search for higher yields on expectations interest rates will stay low in leading economies. At 0630 GMT, the rand traded at 14.5825 per dollar, not far off its New York close of 14.5750 on Friday. “The much-stronger-than-expected (U.S.) payrolls figure has not hurt global risk appetite or the rand. The market has taken the figure as confirmation that the US economy is not slowing down but not so strong that the Fed will have to hike” Rand Merchant Bank analyst John Cairns said in a note. Several U.S. Federal Reserve officials are scheduled to speak this week, offering plenty of opportunities for the market to glean clues about policy. Stocks were set to open higher at 0700 GMT, with the JSE securities exchange’s Top-40 futures index up more than 1 percent. In fixed income, the yield for the benchmark instrument due in 2026 dipped 2 basis points to 8.685 percent.